Civil wars are the dominant form of violence in the contemporary international system, yet they are anything but local affairs. This book explores the border-crossing features of such wars by bringing together insights from international relations theory, sociology, and transnational politics with a rich comparative-quantitative literature. It highlights the causal mechanisms - framing, resource mobilization, socialization, among others - that link the international and transnational to the local, emphasizing the methods required to measure them. Contributors examine specific mechanisms leading to particular outcomes in civil conflicts ranging from Chechnya, to Afghanistan, to Sudan, to Turkey. 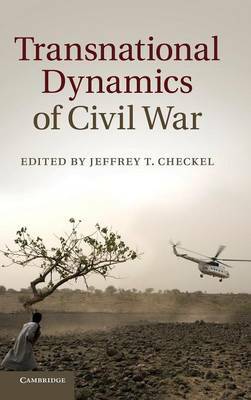 Transnational Dynamics of Civil War thus provides a significant contribution to debates motivating the broader move to mechanism-based forms of explanation, and will engage students and researchers of international relations, comparative politics, and conflict processes.